Legislators in the State of Connecticut (USA) have agreed to apply a 50% reduction of the tax imposed on tobacco products for any product that the US Department of Health and Human Services (HHS) designates as a “modified risk tobacco product”. The determination that a product qualifies as a “modified risk tobacco product” can only be made by the Food and Drug Administration (FDA), an agency within HHS. The forward-looking provision is part of a package of tax increases on cigarettes and snuff products approved in a special session of the legislature in November that entered into effect on December 1. 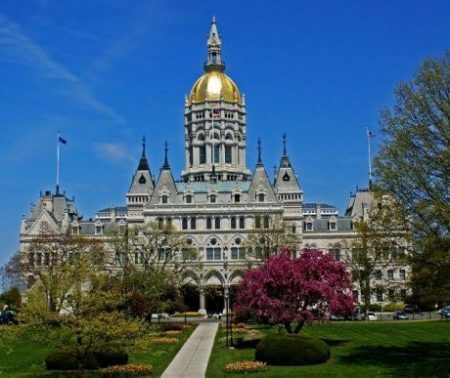 The State of Connecticut has been plagued in recent years by large budget deficits which Governor Dannel Malloy has tried to reduce by increasing taxes rather than cutting spending. Included among the new taxes proposed by the Governor last September in an effort to close the $3.5 billion budget deficit was a 75% tax on the wholesale price of electronic cigarettes. While the state legislature did not approve the proposed vapor products tax it did increase several existing taxes, further contributing to the ongoing exodus from the State of affluent individuals and corporations, most notably General Electric Corporation. Currently, no tobacco products sold in the State have been designated by the FDA as “modified risk”. Philip Morris International has applied to the FDA for a reduced risk classification of its iQOS heated tobacco device and a hearing has been scheduled at the end of January by the FDA to consider the application. If the application is successful and the modified risk status is granted by the FDA the heated tobacco rods sold in the State of Connecticut for use with the iQOS device would be subject to a 50% discount of the 50% tax on the wholesale price currently levied on tobacco products.